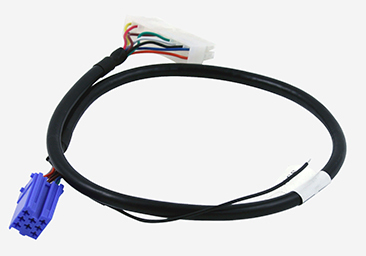 This cable is designed to connect GROM Android, Bluetooth, AUX, IPOD or USB interface to VW, Audi, Seat, Skoda stock stereo. The cable works for Single DIN stereos only. Single DIN stereo is 2 inches in height. If you are not sure if you have a single din or double din stereo, please contact us via contact page. The VAGS cable connects directly to the CD changer port of the VW, Audi, Seat, Skoda Single DIN stereo.